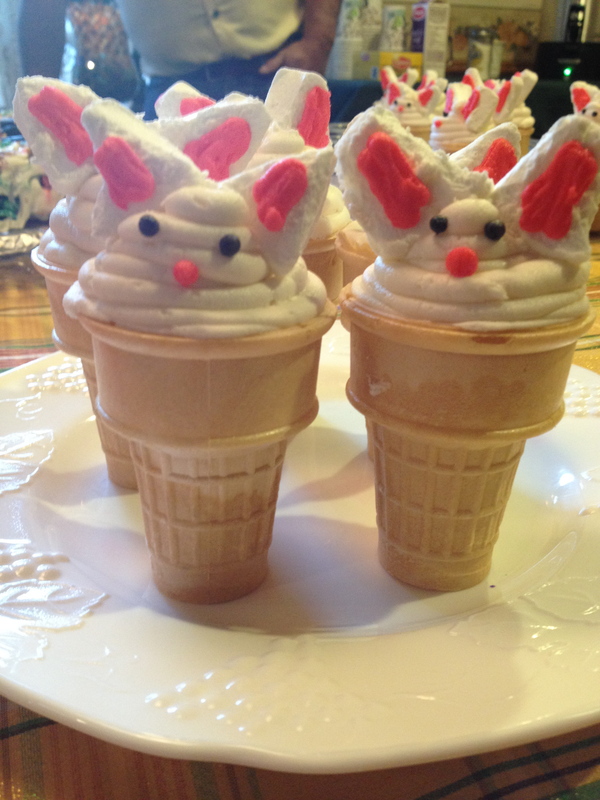 Bunny Cupcakes in a Cone were a such a huge hit yesterday I had to share. The idea for the cupcakes was in the April 2014 edition of Family Circle but I changed it up a little. Oil, eggs, & water for the cake mix preparation. 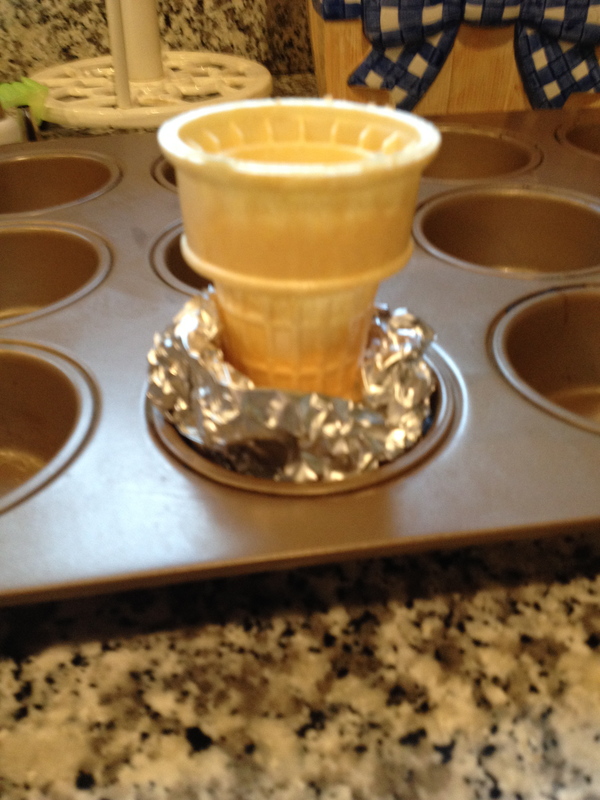 Wrap the bottom of the cones in aluminium foil and place each in a muffin pan. 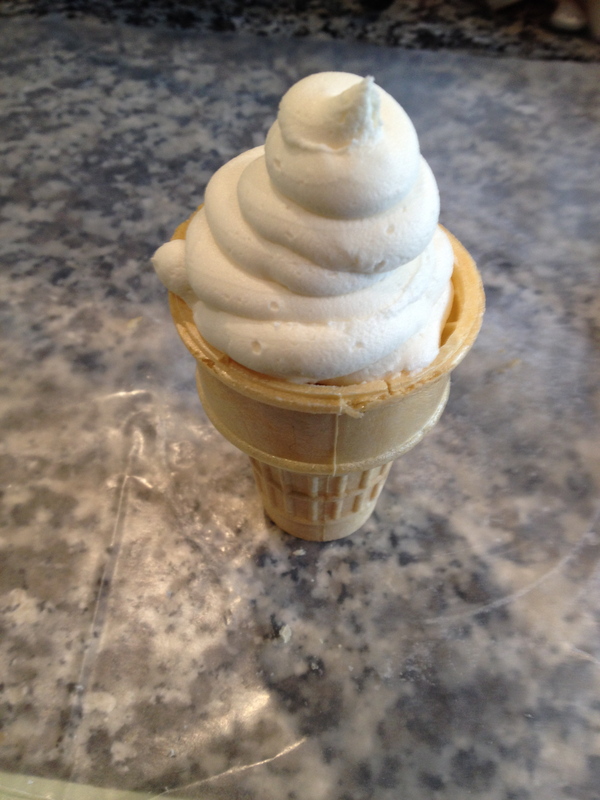 The aluminium foil keeps the cones standing straight up. Make the cake mix as directed on the box. 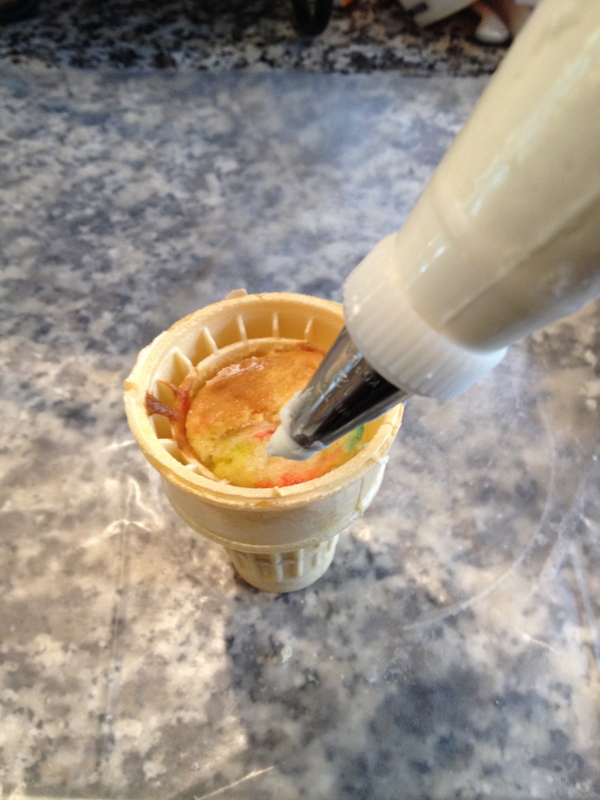 Spoon the prepared cake batter into the ice cream cones. 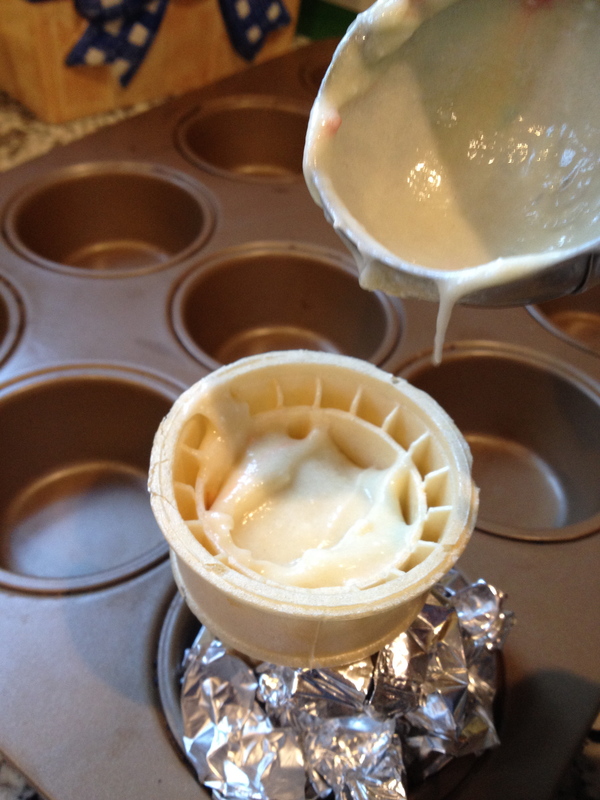 Fill the cones 3/4 of the way with batter. Bake as directed on the cake box. Cupcakes are ready when you can press the center and it pop backs up. 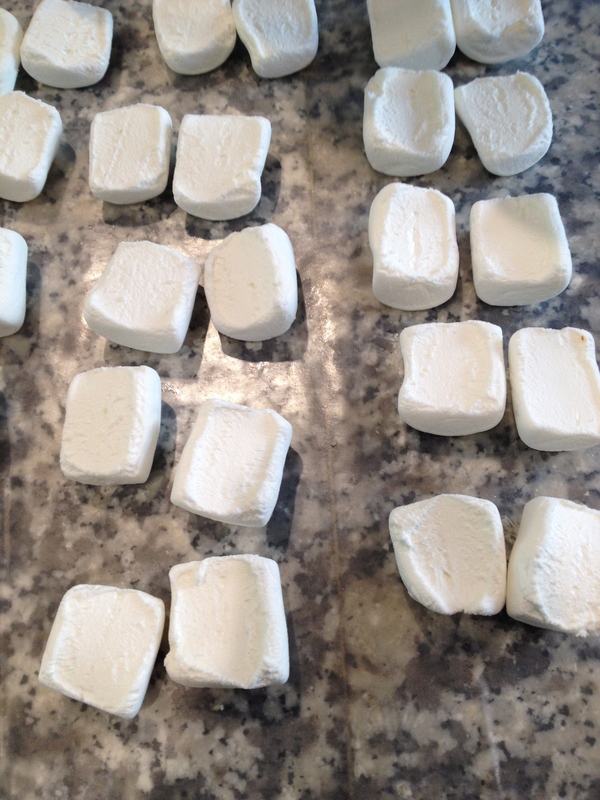 While the cupcakes are baking cut 24 large marshmallows in half. 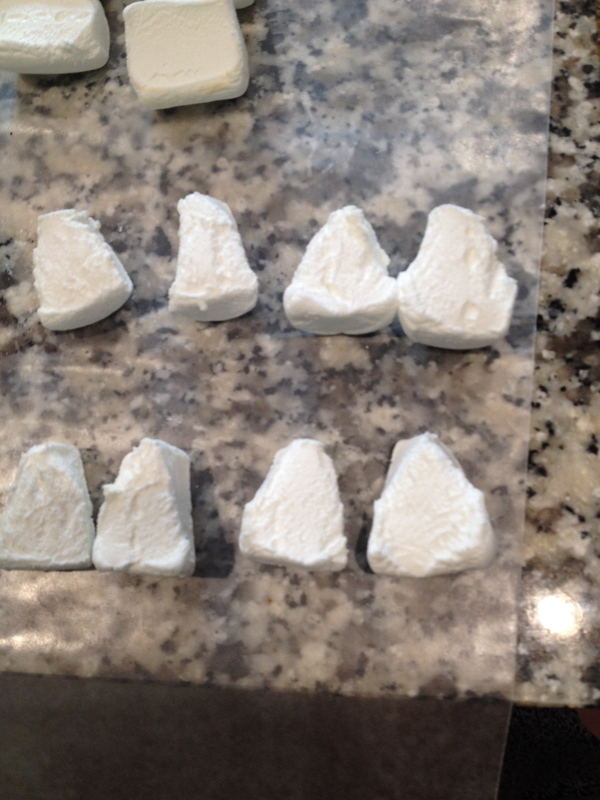 I then used a food scissor to trim the halves to make them look like bunny ears. This was the most annoying step since the marshmallows are so sticky! Take the cupcakes out and let them cool. 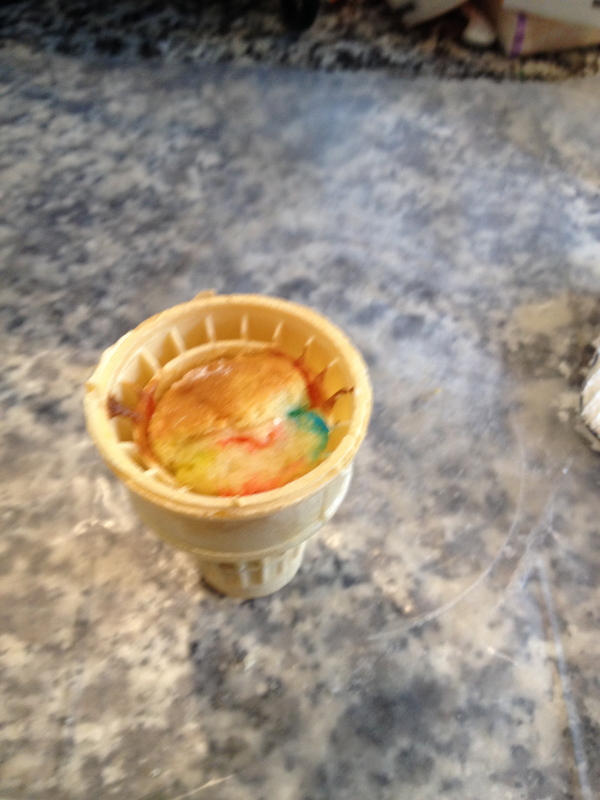 Using a Wilton number 12 round tip pipe icing in a circular motion to make the bunny’s head. 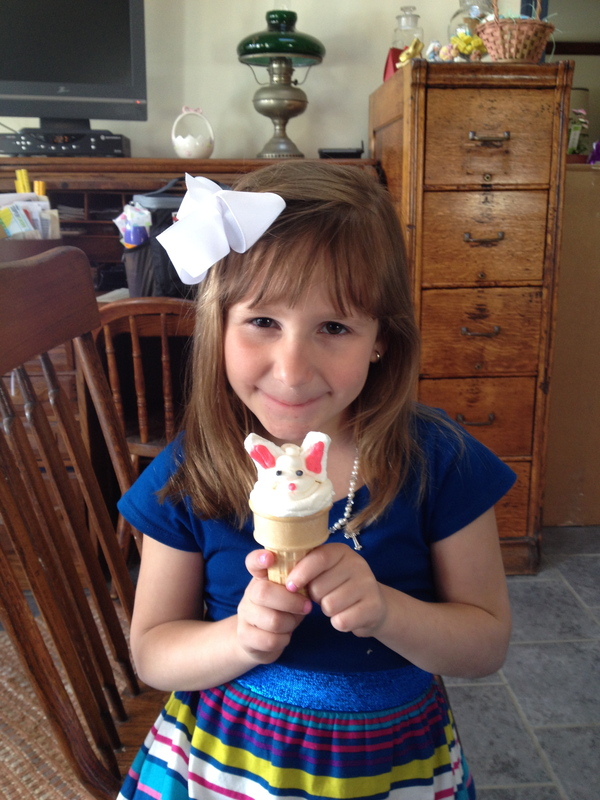 Put a litte icing on the bottom of the marshmallows and stick them into the sides of the bunny’s head. 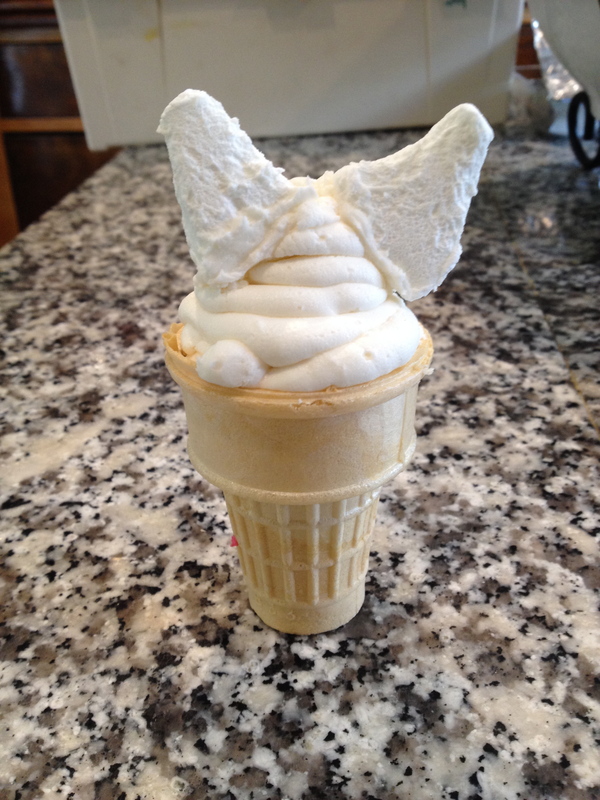 the marshmallow ears. 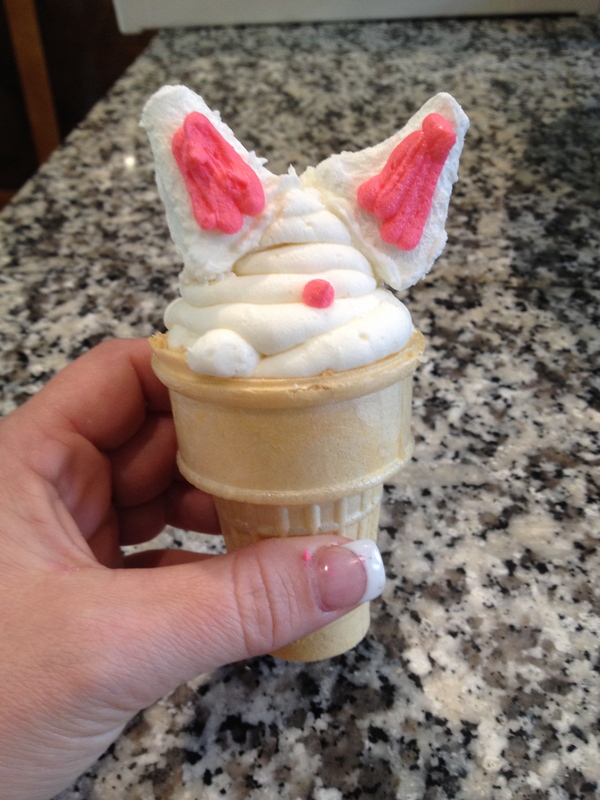 Then using the same tip and icing make a round dot for the bunny’s nose. Using icing tinted black and a Wilton number 3 tip pipe two round eyes.